Art and science don’t usually get paired off as things that go hand-in-hand. But when it comes to photography, there really can be some beautiful outcomes. Take the Olympus BioScapes International Digital Imaging Competition as an example: the competition invites photographers to put nature to the microscope, resulting in some truly amazing images and videos. This year, the Olympus BioScapes competition, which is recognized as “the world’s foremost showcase for outstanding images and movies of life science subjects captured through microscopes, celebrated its 10th anniversary. Over 2,100 images were submitted from 71 countries around the world. “The beauty, power and importance of science as portrayed by these incredible images and movies captivated this year’s panel of judges and is delighting viewers worldwide,” the BioScapes website reports. 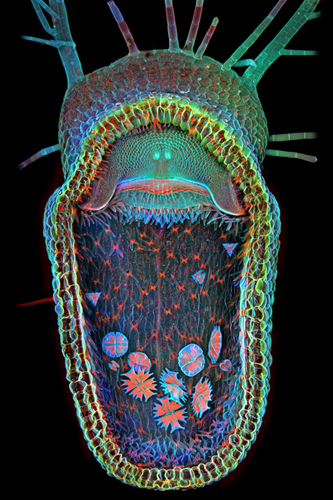 Dr. Igor Siwanowicz’s image of an aquatic carniverous plant, the humped bladderwort, took first place this year. See the winning images and videos (and the honorable mentions) in all their glory at the Olympus BioScapes website. Which images captured your eye the most? Share in the comments below!